OutsideLands Announces 2019 Line Up! We are so excited to see the new line up for San Francisco Outside Lands. This is a festival that we have not missed in 10 years and look forward to it each season. Each year, the grounds, the various lands, the variety of the music and the overall 3-day experience in Golden Gate Park is something to look forward to. Besides our regular faves in comedy at the Barbary, the Winelands, Cheeselands and for our ViewCrew team, the restroom in the VIP section. Our group has already purchased our Eager Beaver VIPs, booked our hotel rooms, bought our Shuttle Passes and are ready to go. The only thing missing was the line up and now and we have been trying to solve the clues from Ranger Dave on Instagram. But now we have it and are sharing it with you and what you need to do to get tix. 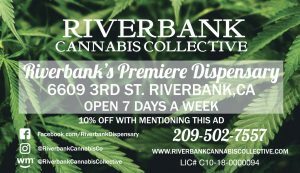 I hope we will see you there. So here we go! 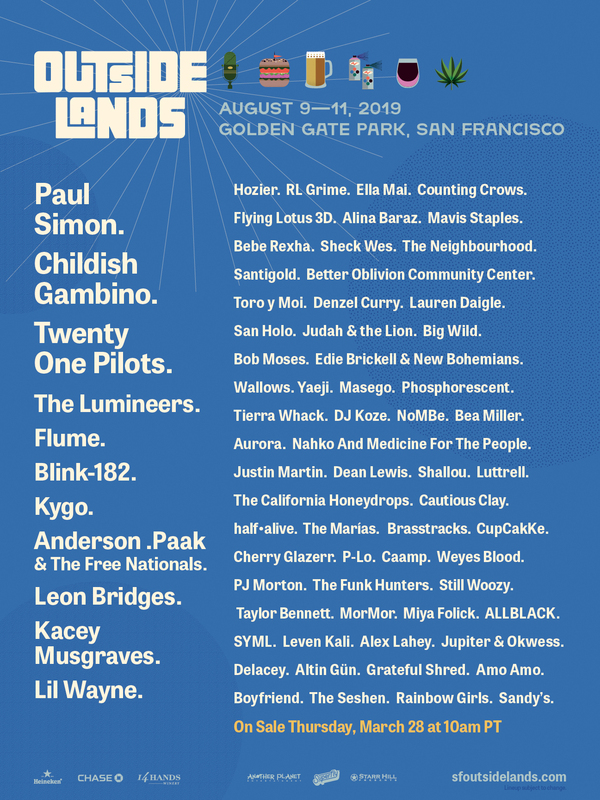 Another Planet Entertainment, Superfly, and Starr Hill Presents are thrilled to announce the lineup for Outside Lands 2019. Outside Lands will return for the 12th year to San Francisco’s historic Golden Gate Park on August 9 – 11 for an amazing, delicious, awe-inspiring weekend of music, art and the best culinary experiences the Bay Area has to offer. 3-Day GA and VIP tickets go on sale Thursday, March 28th at 10 am PT at www.SFOutsideLands.com. Also leading the musical charge this year as headliners will be genre-busting duo Twenty One Pilots and Childish Gambino, Donald Glover’s GRAMMY-award-winning alter-ego. They will be joined by pioneering electronic Australian producer Flume, country crossover giant Kacey Musgraves, who swept this year’s GRAMMY awards including taking home Album of the Year, folk rock favorites The Lumineers as well as Ella Mai, Blink-182, Kygo, Anderson .Paak & the Free Nationals, Mavis Staples, Counting Crows, Bebe Rexha and more. ● Eco Lands is a dedicated area within the festival footprint that includes the presence of many arts and environmental non-profit partners. The goal is to provide an educational forum for sustainability, showcasing local community organizations and encouraging involvement. ● Outside Lands Works is a charitable fund created by the Festival that invests in the cultural vitality of the Bay Area through grants to regional non-profit arts and education programs.